Below is one of the pieces I submitted on Twitter during the show. Mary Anne presents Art Is Everywhere from the Turner Prize exhibition at Tate Britain. I had several friends who had seen this film and couldn’t stop talking about it. I finally saw it this weekend. Wow. What a movie. There are very few films that come together so perfectly as this one does. The chemistry between the actors, the script, the direction, the passion, the pure artistry. In the interview below, Bradley Cooper and Lady Gaga discuss their creative connection and the collaborative experience. Bradley talks about how he couldn’t direct until he had something to say and how he wanted so much for the film to connect and heal. I loved the movie. But what I really loved was the creativity, the story telling and the total commitment the actors have to the whole process. I love New York. I love illustration. I love the MET. And I love Frannerd. So I really loved this video. Fran really inspires me to get out and about to draw and study classical art for inspiration. 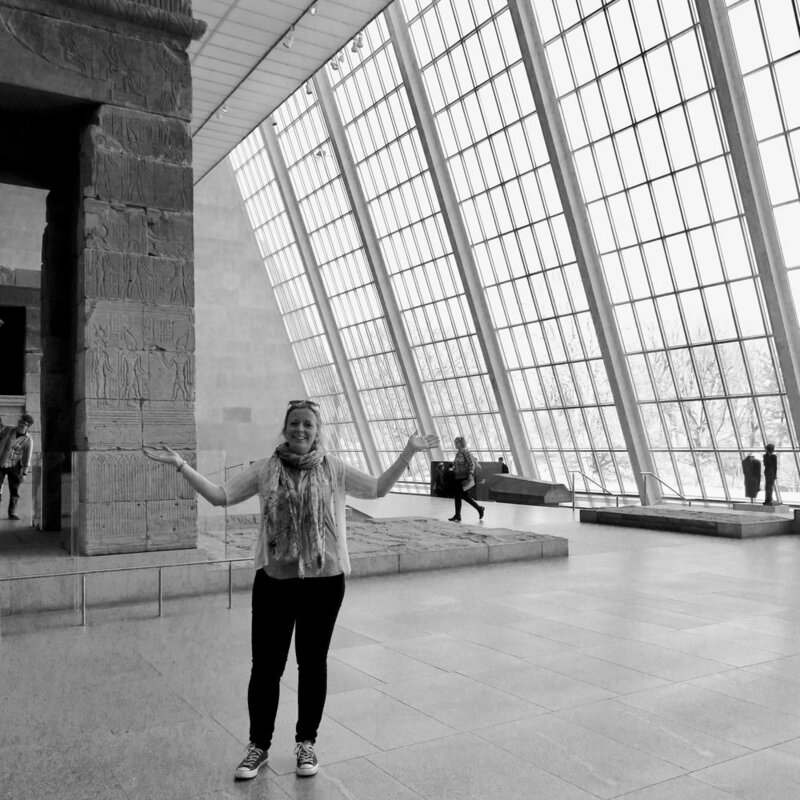 I also loved seeing the Temple of Dendur when I visited. I read that the room was known as Jackie’s nightlight because JFK had the light in the room left on each night so his wife could see it across Central Park. I’ve no idea if it’s true but what a romantic story. I’ve been watching Dan’s channel since he launched it earlier this year and it’s like watching the sparks of his creative imagination burn brighter and brighter. His latest project Humankind is his most ambitious yet. He appealed to film makers across the world to contribute clips and has brought 100 of them together to make something truly beautiful. In four minutes he takes us around the world and shows how we are all one human. Just stunning. This conversation between James O'Brien and writer, singer and poet Kate Tempest on the Unfiltered podcast is absolutely wonderful. I often look for ways to describe how I feel about creativity and what it means to create. Kate is one of the most eloquent speakers on the subject that I've ever heard. I loved hearing her insight into how people in Brazil use the word 'poet' as a term of praise. Kate says, "... it's a term of endearment. You say 'oh my poet' when somebody's being particularly sweet natured, sensitive, open..." And of creativity, she muses, "... it's more like a frequency that you're tuned into life at... and when you're of that frequency. the minute you connect with others at that frequency it's a big shock. It's a beautiful thing to have a community like that..."
Every year I start January by making a list of my creative projects that I’m working on. And I realise that every year some of the same incomplete projects appear again & again. Somewhere in the back of my mind I know something is holding me back. Especially with my writing. It’s subtle but it’s there. So I started reading Tara Mohr’s book Playing Big this week to try to finally get past this. And within one chapter I’ve had a bit of a moment of clarity. I know I have a fear of *being seen*. But why? Well, here goes, I’ve realised my inner critic is a combination of the voices of the people who bullied me at school. I was studious, I loved learning and I was bullied for that. Meanwhile our lives were a little different & that seemed to cause a stir. A couple of times my mum took us out of school for 3 months at a time & we disappeared off to Spain. From April to October she ran a water sports business & we would spend most of our summers by the lake. We had a speedboat outside our house. We were a little bit unique and this drew attention & comments. But wasn’t everyone unique? I didn’t understand why other children were mean to me just because of who I was. It made me shy & made me want to hide. I tried to ignore it, I tried to ignore them. I carried on working hard at my study and writing but felt like I was keeping my head down. So is that what I am still doing now? Keeping my head down? Because of those kids when I was at school? There’s more to this. But surely it’s time to break this habit? Surely it’s time to say, thank you inner critic, thank you bullies, it’s time to find the courage to put my head up and to step out of the shade & into the light. I stumbled across this video full of wisdom for freeing up your creativity. I am much too ordered with my sketchbooks and there are some great tips here to encourage loosening up. I read these words in the midst of an article online and they struck a chord. Creativity takes courage. Things happen in life that knock your confidence and test your ability to trust the good. Keep hoping. Be tenacious. Sometimes a beautiful opportunity is just that. I've been thinking about this a lot lately. Sometimes creating is like howling into the night and then sometimes it's like dancing with the stars. And I guess the point is, it doesn't have to matter. Creating is creating.